Thanks to its tight dimensions 65 (W) x 85 (H) x 175mm (D), this new model is ready for micro chassis. It also has an Ultra-Silent 8 cm and 18 dB Tacens fan with smart thermal speed control and anti-vibration. 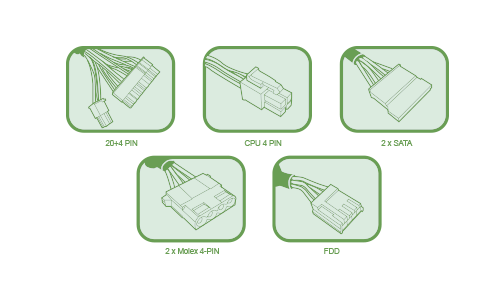 Its powerful single rail 12v technology gives it an extremely stable and powerful performance. 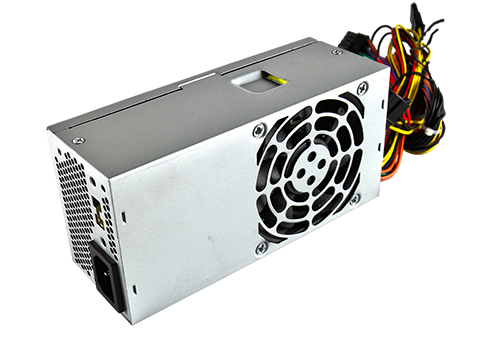 The power supply APS500 includes long cables for better compatibility. 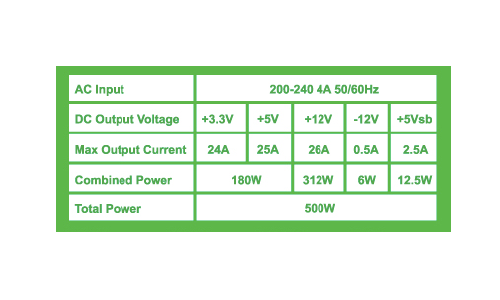 This new TFX power supply has been manufactured according to EU standards and directives. 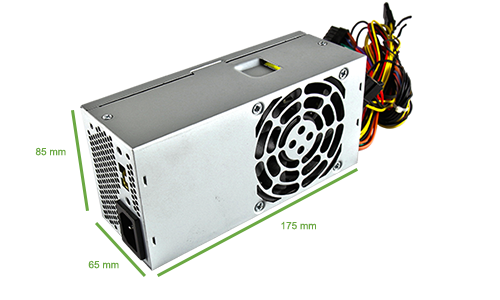 It has industrial-grade electric protections and filtering for safest operation. More over it is prepared for Intel 4th Gen. processor “Haswell”.